For Cool Tool Tuesday, I have paid a visit to another branch of the vast archive, and pulled out this simple yet ingenious adjustable wrench. Arthur Pearson Ibbott, of Oxhey (a village subsumed by Watford) in Hertfordshire, England was born around 1867, married to Victoria Miller in 1888, and fathered three sons and two daughters. By the time WWI came along, he was the secretary and accountant to a small investment firm, and the founder and lay preacher at a small baptist chapel. Sadly, two of the three boys were lost to the war, and in 1919 he wrote a book dedicated to their memory. In 1924, he wrote another book, entitled The Economic Illusion. 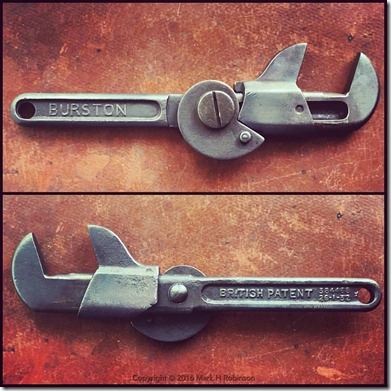 Nothing about Mr. Ibbotson’s life would suggest that in 1932, at age 65, he would invent a simple but ingenious pivoted spiral cam with spring return mechanism to move and lock the sliding jaw of an adjustable wrench. Not only was he awarded British Patent 384,468 on January 26, 1932, but his invention was licensed to and actually manufactured by Charles Richards & Sons Ltd., of Darlaston, England – an illustrious and successful manufacturer best known for making nuts and bolts. 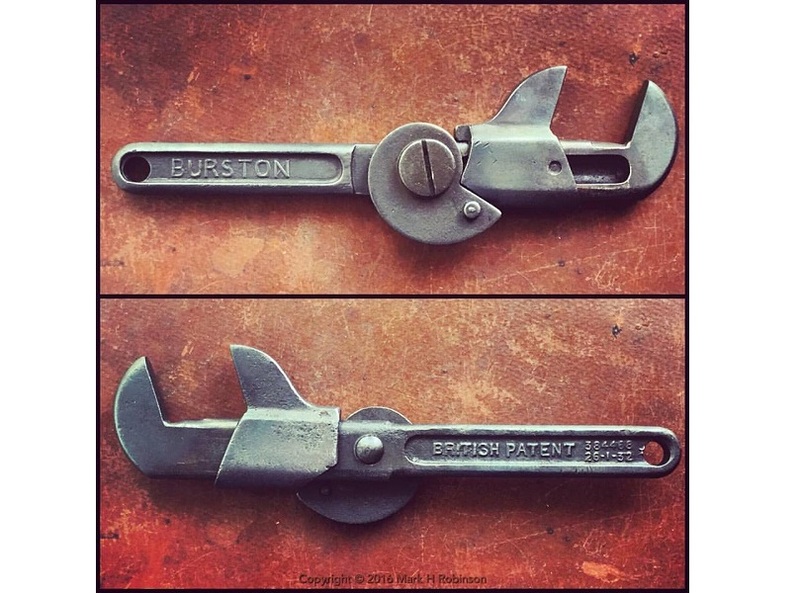 Four years later, Mr Ibbott was awarded US Patent 2,053,033 for a wrench identical to the one pictured here, although there is no evidence that it was ever manufactured in the US. 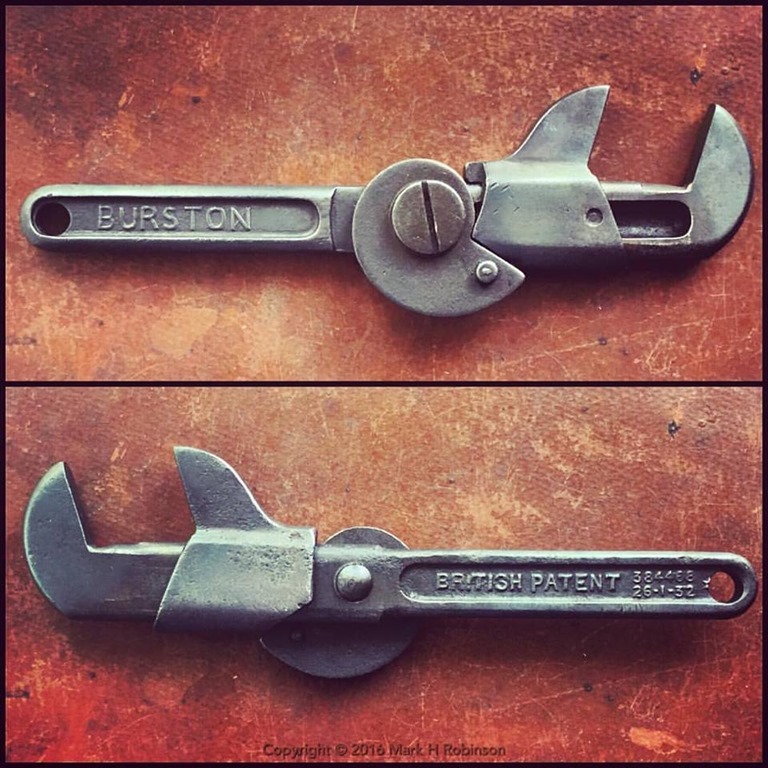 A child of the inventive and industrious Victorian era, a professional man, a lay preacher, an author and an inventor, Mr Ibbott himself is the reason that this adjustable wrench qualifies as a Cool Tool.